Steelcase 2018 SILQ Office Desk Chair (SCSILQ) at Pure Design / Seating / Workspace ::: Furniture for the Home, Office, Home Office, and More at Pure Design Online! With uncompromising comfort and lightweight strength, the SILQTM innovative chairs blend artistic beauty and cutting-edge technology for an intuitive sitting experience. Inspired by advances in material science, Steelcase created SILQ: the way SILQ is sculpted, the way it performs and what it's made of are inseparable. Cogent:Connect has more stretch/breathability than Buzz2, and less texture. Both yarns are antimony free and made in USA. Steelcase Leather is a quality leather from the United States. Elmosoft is a higher grade grain leather from Scandinavian cattle. 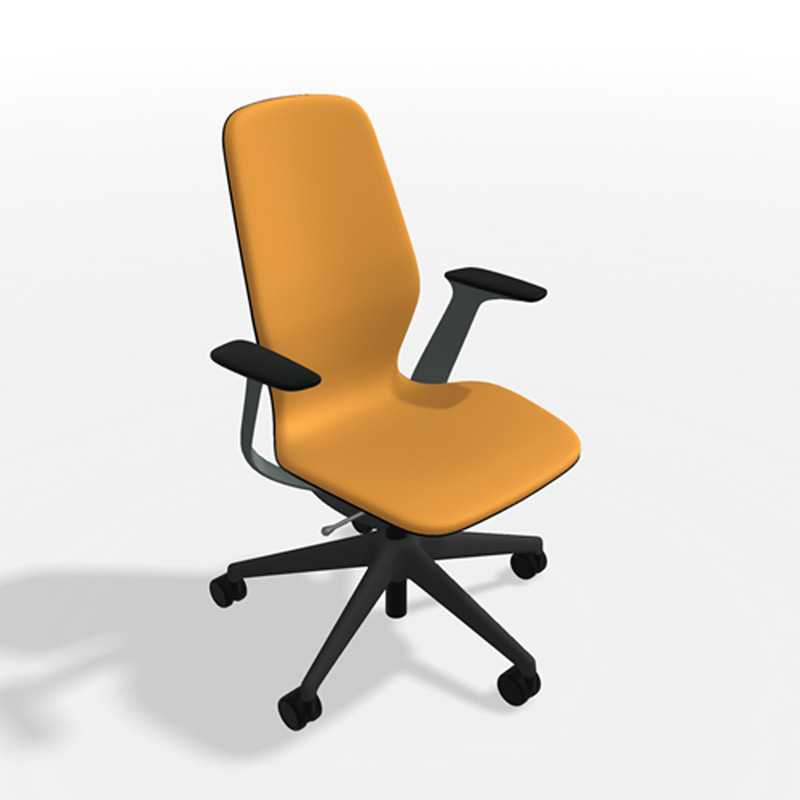 Seat height: 16 1/4 - 20 7/8"
This product is MADE TO ORDER and therefore CANNOT BE RETURNED. This item can only be shipped to street addresses in the contiguous 48 United States. Please allow an additional 7 business days to ship, as this item is made to order.